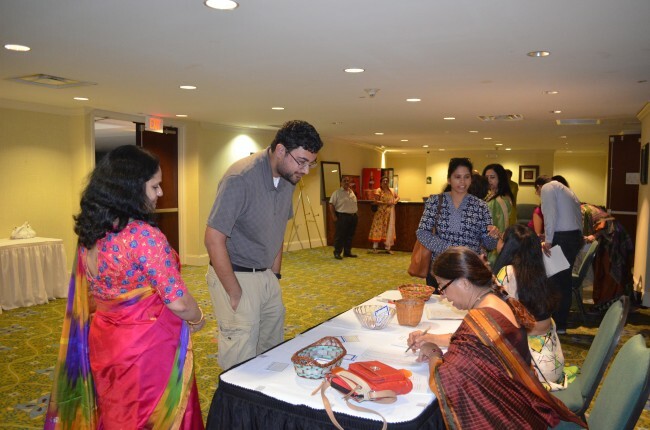 Atlanta, GA, October 3, 207: On Sunday, August 20th, Vivah’s Atlanta branch held its fall quarter singles event at the Roswell Holiday Inn with 63 participants and 12 volunteers. This was the Atlanta branch’s second singles event, and the seventh event for the organization as a whole. 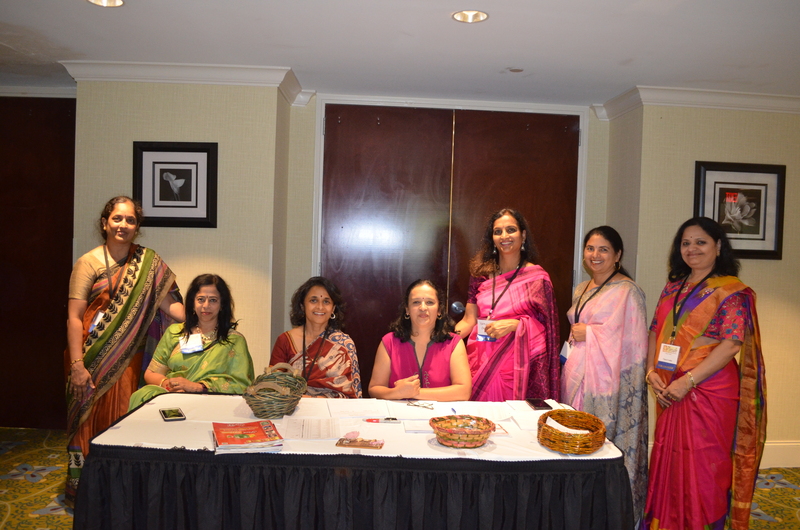 Members of the Atlanta Hindu community sponsored the event, making it free for participants. The work for putting it on was done by an all-volunteer force. Vivah is a nonprofit whose mission is to organize meetings for single Hindus so that they may find someone to marry. The goal is to promote marriage by providing a wholesome, alcohol-free environment and some structure in meeting people. Anyone may attend Vivah meetings. There are no restrictions other than that the person must be Hindu. Vivah was started in November of 2016 in Dallas by members of its Hindu community. A second branch was organized in Houston, with Atlanta being its third location. The event began with the chanting of three Oms and an invocation to Ganesha. A married volunteer gave a guidance speech on what to look for in a prospective spouse. The main activity for the event was group speed dating. All the participants were divided into several groups according to age. There was a group for people in their mid-20s, a group for those in their late 20s, and so on. Each age group contained both men and women, and each group was seated in a circle. People would introduce themselves to the others in their age group and talk to each other for about ten minutes. The women would then shift from their group to the next group while the men remained seated. In this way, the women would move from group to group until they had met all the men in their age range. The participants were identified by first name only and could choose to reveal whatever it is they wanted to about themselves. Contact information was not given out. As to be expected, most of the participants were programmers, analysts, and engineers with a few doctors and pharmacists as well. The hobbies people had were more varied however. One man took part in Spartan obstacle races. Another was a backup singer. Many of the people were committed vegetarians. The participants had grown up in many different cities and countries. There were people who had gone to high school in the Greater Atlanta Area and had graduated from Georgia Tech, Emory, and other Georgia universities. Others had grown up in different parts of the US, and there were those from various major cities of India. There were many ethnicities represented, from both North and South India. While most participants lived in Atlanta, a few had travelled for the event from neighboring states like South Carolina and from states as far away as Kentucky, Ohio, and Texas. At this meeting, there was a separate group for those who were middle-aged and elderly, all of whom were widowed or divorced with grown children. There was a widow in her early 60s who had lost her husband to cancer. One man in his early 60s was divorced, with grown children. He said he had wanted to raise his children before trying to marry again. After the speed dating event, there was some freeform socializing. Participants could turn in sheets to the organizers giving authorization to reveal their contact information to select people they liked. As a side benefit, the structure of group speed-dating allowed people to meet and make friends with those of their own gender as well. The next Vivah event will be held in Dallas on Saturday, September 23rd. The next Atlanta event, for winter quarter, is scheduled for Sunday, December 3rd. 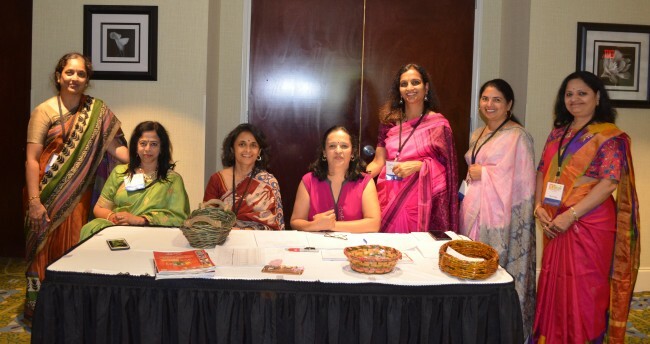 The Atlanta branch of Hindu Vivah plans to organize these events on a quarterly basis and so become an institution of the Atlanta Hindu community. To attend, volunteer, or donate, please visit www.HinduVivah.org or email: Atlanta@UsVivah.com.